This is a topic I’ve come across a lot lately- the topic of photos, and the internet and social media and what has become of our society’s obsession with it. Trust me- I get it. Which I know seems crazy, because most of my job is dedicated to taking photos for the sole purpose of blogging and social media and advertising our skills in events. A lot of it feels so fake to the outside eye. 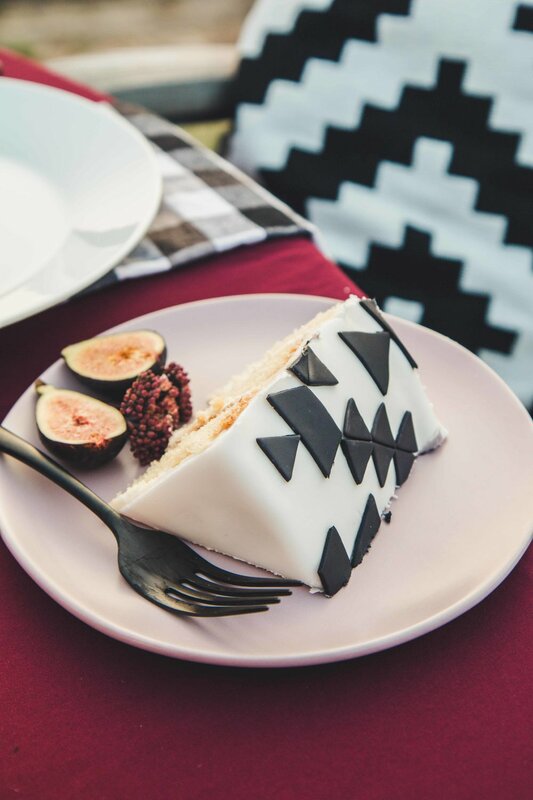 But something we strive to create at Little Miss Party is a genuine platform that represents our life experiences, our careers in event design, and entertaining tips relevant to our readers. 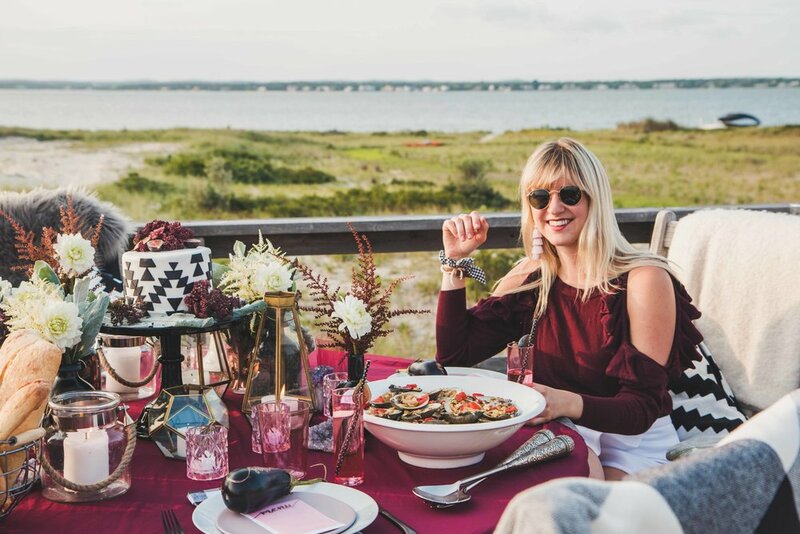 When we put together a styled photo shoot and dinner party, like this one, we make it a gathering that we experience “IRL” (as us millennials say). 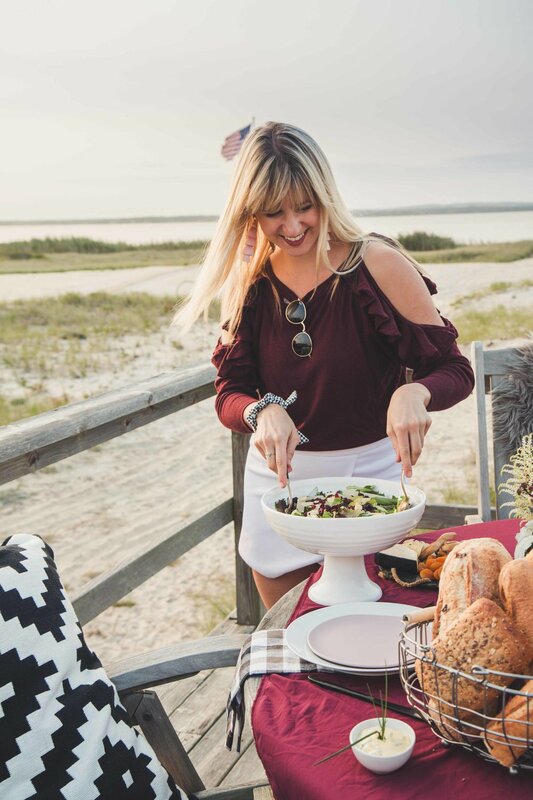 We love to create something that looks beautiful for photos and inspires our readers to entertain their guests with ease- but we also sit down together, eat the food we prepare, take in the scenery, and enjoy each others company. I say this because I want you all, our fans and readers, to have no doubt that we’re not here to create a fake vision of our lives for the purpose of this blog. 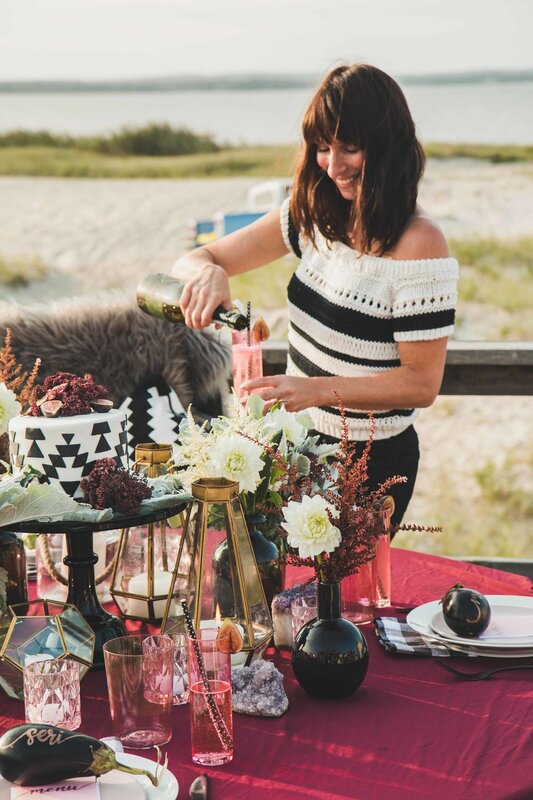 This business and this blog began from Seri’s PASSION for entertaining her loved ones. She still puts that passion to use with the help of her team, and we capture it for the purpose of sharing our creations with you. 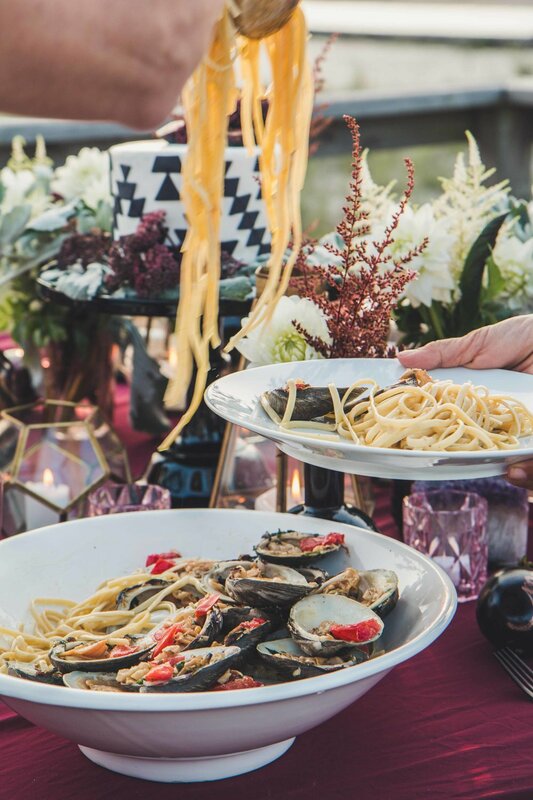 So that being said, as the summer came to an end we thought how beautiful it would be to do a styled shoot and dinner party to say farewell our favorite season. I told Seri I would love to do something at the beach, since I had not had the chance to get there all summer. 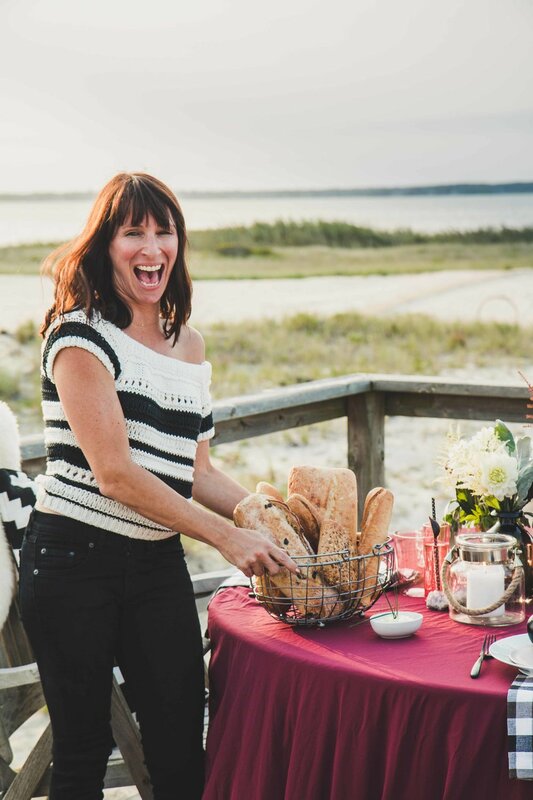 She immediately thought to call our friend Laura, the owner of Coastal Concierge, who lives on the beach. I couldn’t think of anyone else I would have rather been with to send off summer in a beautiful way. Laura is someone I’ve only just gotten to know recently, but I feel so lucky to have had the pleasure of collaborating with her on some amazing projects over the last few months. 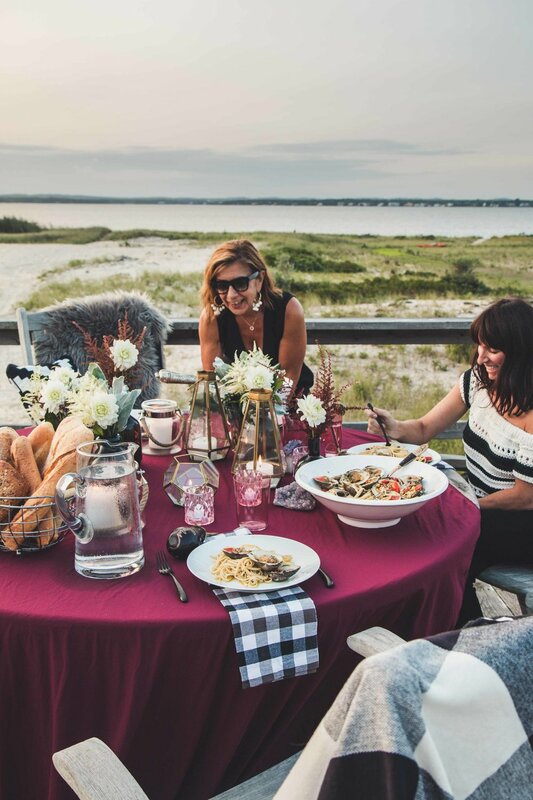 We wanted to show our readers that just because it’s getting cooler doesn’t mean you can’t entertain your friends while enjoying the beauty of the beach (or anywhere outdoors) through the fall season. 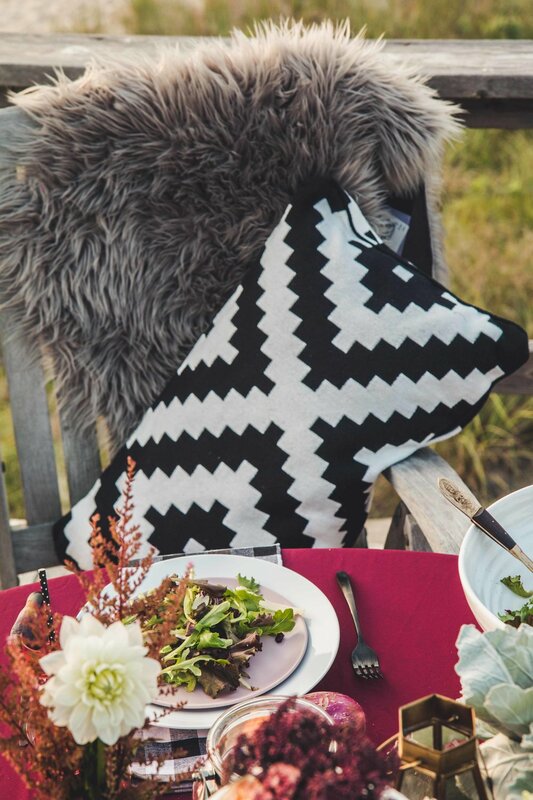 It’s all about serving the right foods and having cozy blankets as a back-up when the sun goes down. First, we focused on our table decor. 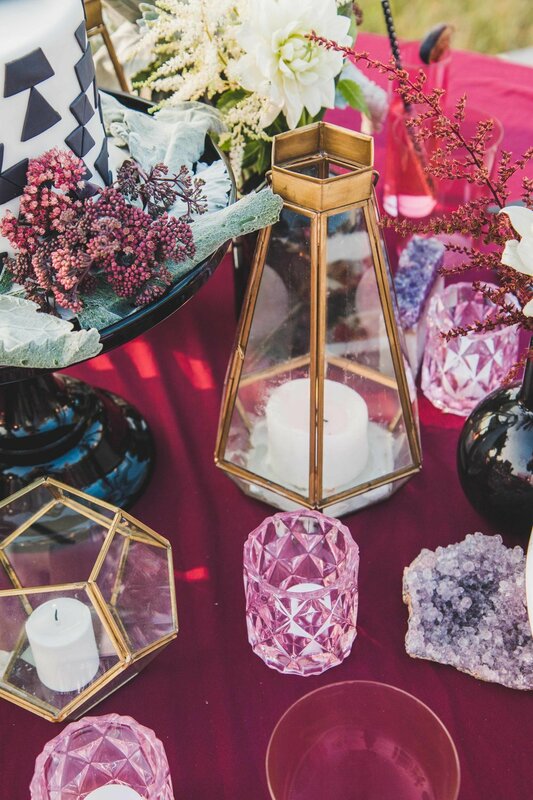 We chose a maroon linen paired with a black, white, and light pink color palette. 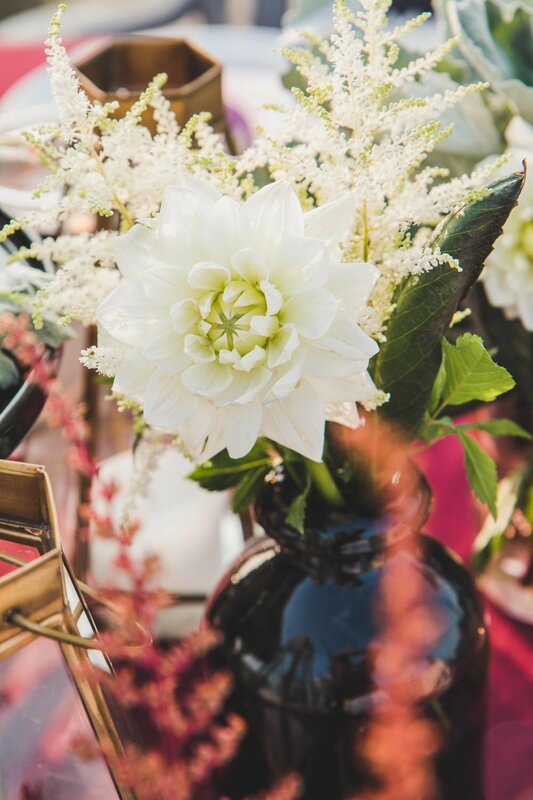 We filled the table with dahlias and wildflowers in black vases to enhance the deep, smokey look that’s so perfect for fall. 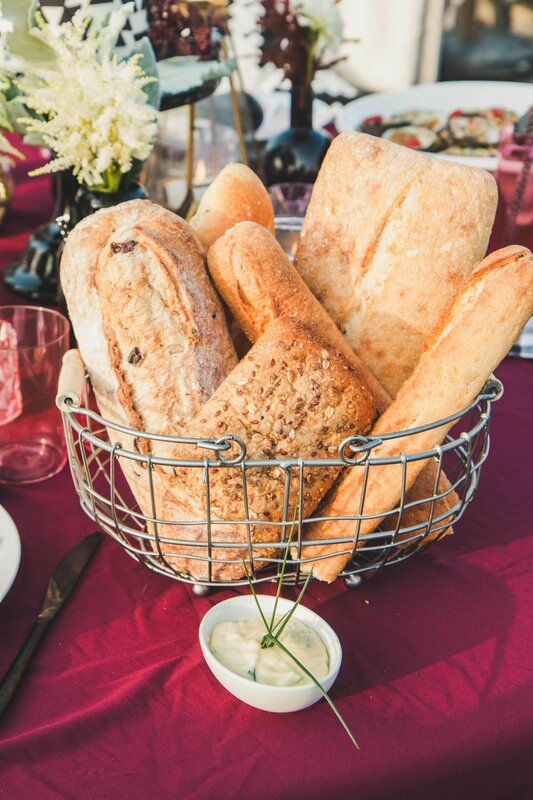 Each place setting had a blush pink salad plate atop a white plate, which paired perfectly with our buffalo plaid napkins and matte black silverware. We even had geometric black and white pillows and fuzzy blankets to get cozy as the night went on. And you know I can’t go through a photoshoot without getting a little crafty. 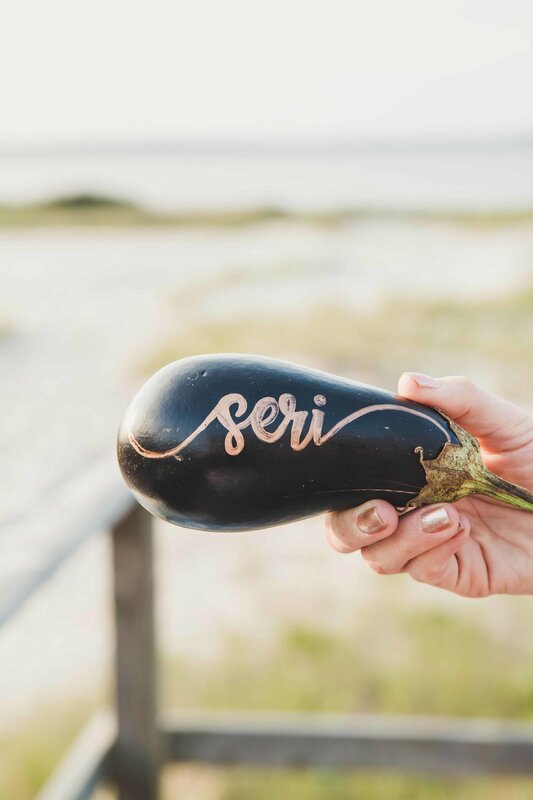 Seri found some beautiful eggplants at the farmer’s market for our name cards, where I wrote each person’s name in script. 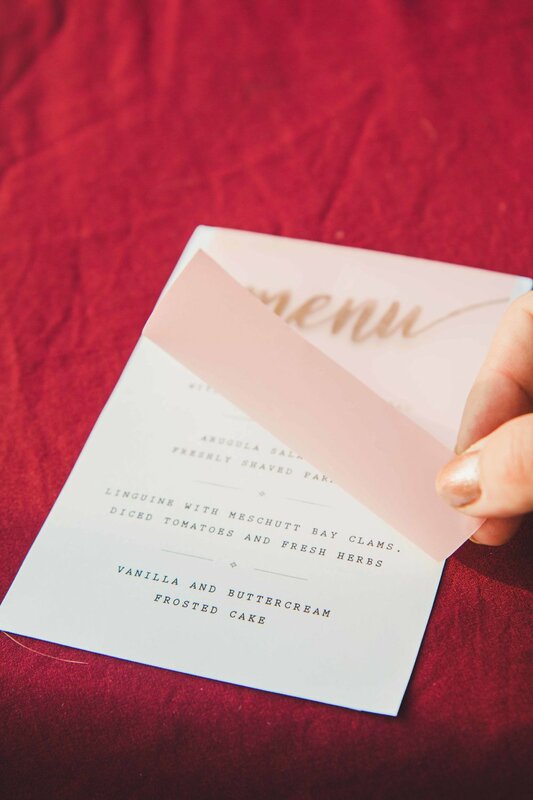 I printed out our planned menu and added a layer of pink vellum paper on top with “menu” in gold script for an added detail. Finally, we moved onto drinks. 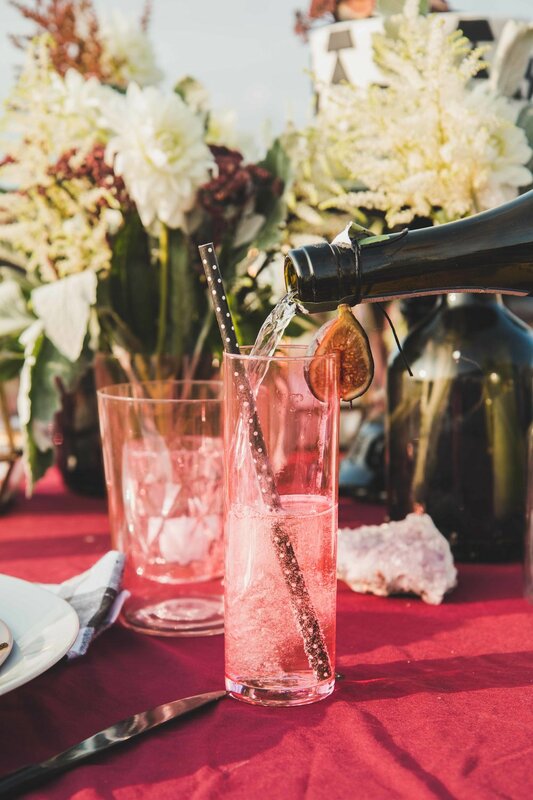 We kept it super simple and just served champagne with a fig garnish. 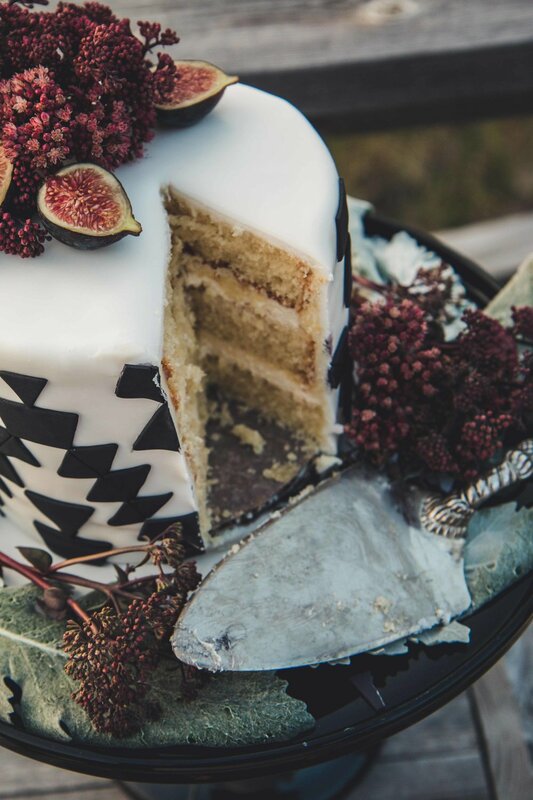 By the end of summer and early fall, figs are in season and totally fit with our deep, warm decor palette. They’re delicious, beautiful, and perfect for transitioning to fall! As usual, it did not take us long to move onto food. The picture above describes how Seri feels about bread PERFECTLY. We had a whipped chive butter to pair with our basket of artisanal favorites, and of course some cheeses and dried fruits to pick at before dinner. The picture above describes how I feel about salad PERFECTLY. And this one was a good one. 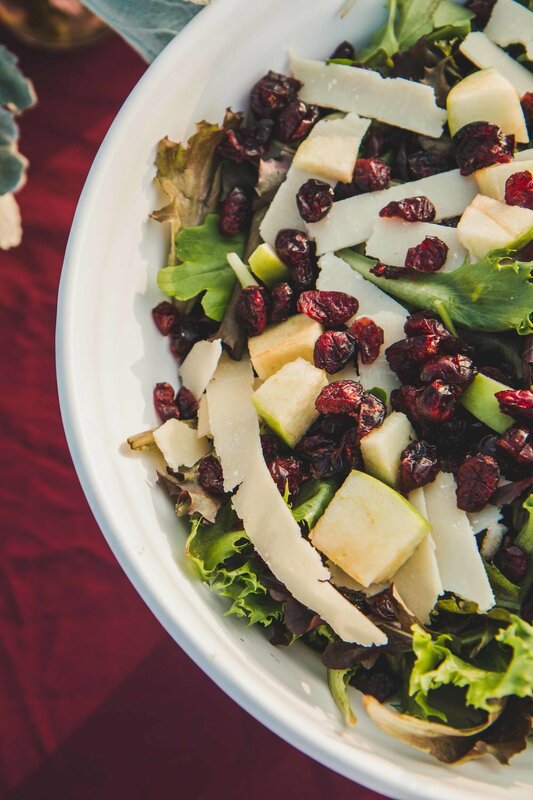 Apples, dried cranberries, and shaved parmesan on top of a bed of mixed greens is the perfect salad to serve during the falls season. And the main attraction- clams with linguine! 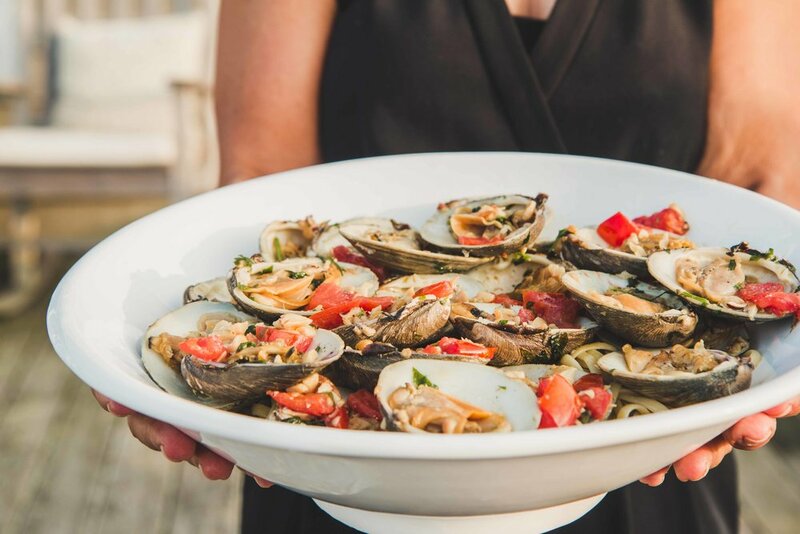 Not only was this dish warm and cozy, but the seafood touch still felt perfect for our beach setting. 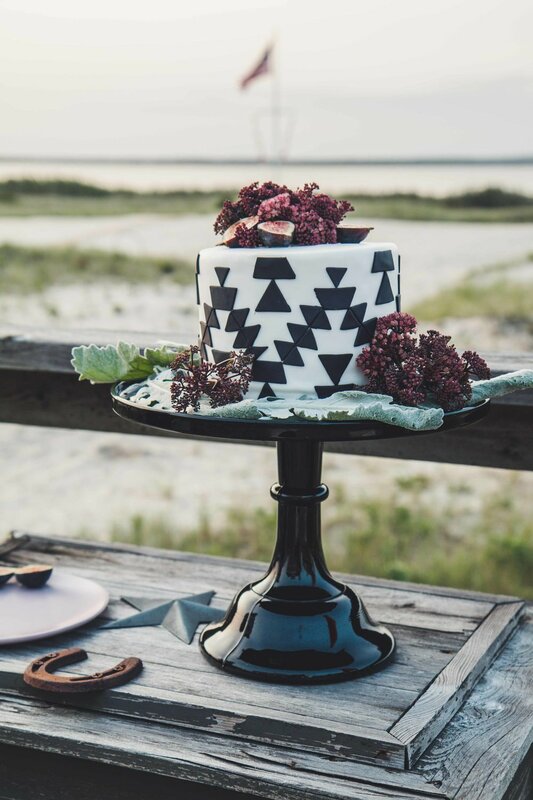 You know I was saving the best for last… a cake, from our favorite baker, Angela of Making that Cake. 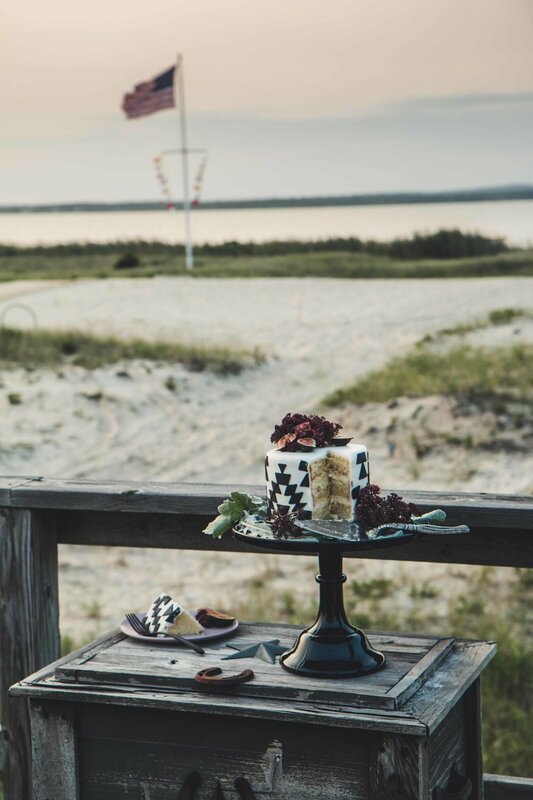 She saw our vision board for this shoot and brought this cake to life. And let me tell you, her buttercream brought ME to life. Plus figs and flowers on top just make everything prettier. So of course, it was the perfect final touch to an absolutely perfect evening with friends. So my point is this: these smiles that you see are real. These styled photoshoots are just one of the MANY things I love about my job. Moments like this, when I get to be creative at work while still laughing, smiling, and joking are what make me so proud to be a member of the Little Miss Party team. I don’t take my job for granted, because I am so lucky, each and every day, for the life experiences, the happiness, and the creativity that my career has brought me. 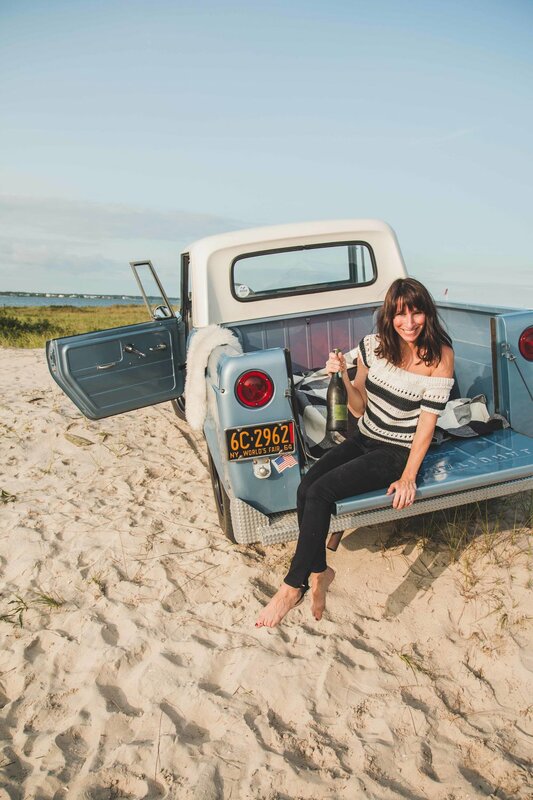 So cheers to you, cheers to a fantastic summer, and CHEERS to fall! Bring on the changing leaves and pumpkin spice!